Please don't throw shade at me for going all stereotypical and writing about whiskey on Father's Day. 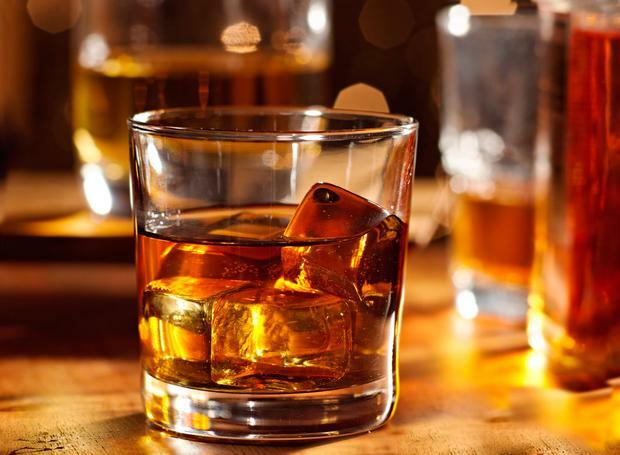 I know plenty of women who adore whiskey but as my husband - who also happens to be a father - is a huge fan of whiskey, I thought this was as good a day as any to write about uisce beatha (two of the few Irish words he knows, as he's American). There are now so many great Irish whiskeys on the market that it's hard to know where to start, but within a few years it will get even more interesting as the whiskeys from new distilleries start to be released. There are now 18 whiskey distilleries in Ireland, with nearly 20 more planned, so the industry is starting to nudge back up to its 19th-century glory days, when there were 88 distilleries in operation. Irish whiskey is now the fastest-growing spirits category in the world. Whiskey making is a long process, and the distilling bit is just the start of it. Once the spirit has been distilled, from malt or grain, it must be aged in barrels for a minimum of three years and a day before it can legally be called a whiskey. Barrel ageing has a huge impact on the flavour profile, and the different ageing regimes, as well as the age of the spirit, contribute hugely to defining the taste of the finished whiskey. A wonderful example of this is Green Spot Château Léoville Barton Whiskey, which is finished in Bordeaux wine casks from the famed Château Léoville Barton, available from Mitchell & Son for €69.95. So it's a waiting game, and most of the new distilleries that have opened in Ireland in the past few years are finishing the ageing of whiskey according to their own regime but using whiskey spirits that have been distilled elsewhere. This allows the distiller to establish a brand, a house style and, critically, cash flow while their own whiskey sits in the cask ageing. The whiskey revival has seen new life injected into areas that have been closely associated with brewing and distilling, one of the most notable being The Liberties in Dublin. The Teeling Whiskey Distillery opened here in 2015, and in August 250 celebratory bottles of its first cask of Single Pot Still will be released. The first 100 bottles will be auctioned online, with the balance being sold in the distillery itself. One of the core founding principles of the company was to give back to the local community, so they will be giving back all profits from this first release to a selection of local Dublin 8-based charities. Just down the road on James's Street, in the former St James's Church, is the Pearse Lyons Distillery, which opened in 2017. Diageo plans to have its Roe & Co distillery open in the former Guinness Power Station in 2019, and under construction and due to open its doors in September is The Dublin Liberties Distillery, which is even closer to Teeling's in Newmarket. 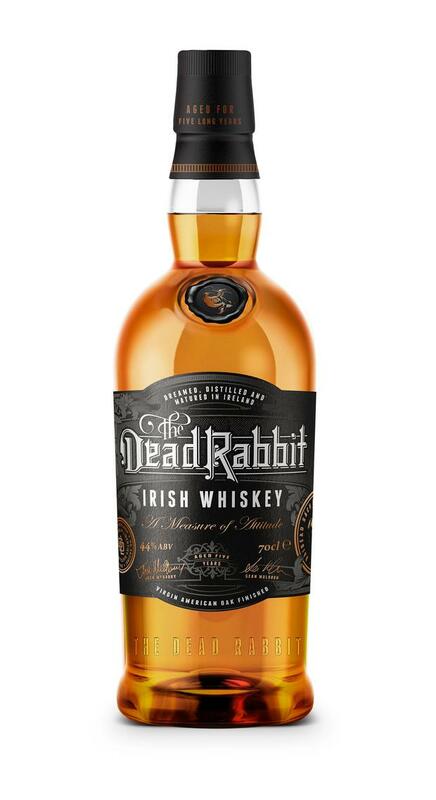 Darryl McNally, who worked in Bushmills for years, is the master distiller at this new operation, and he has teamed up with Seán Muldoon and Jack McGarry, of multi-award-winning New York bar The Dead Rabbit Grocery & Grog, to create The Dead Rabbit Irish Whiskey. A five-year-old whiskey which celebrates the fifth birthday of their bar in New York, it's a blend of Irish single malt and grain whiskeys, aged in seasoned Kentucky bourbon casks for five years before being finished in virgin American oak barrels, giving it a kick of spice and a decidedly American accent. An immediately appealing nose of caramel and butterscotch leads to a palate of soft, rich caramel with layers of spice, dried fruit and toasted oak. Smooth and robust, this offers good value for money. A blend of grain and a high level of malt whiskey from hand-selected casks, this has been matured in ex-rum casks for extra spice and body with a cedarwood smoothness. Aged in ex-bourbon casks and finished in virgin American oak, this whiskey has sweet vanilla notes and a nice kick of spice, making it perfect for the famed Irish coffee in The Dead Rabbit Bar in New York. Limited edition of 13,000 bottles, a single malt that's been aged in both bourbon and port barrels, this has a touch of sweetness with rich notes of citrus and a hint of mixed berries.